Whether you‘re renting an entire house or an apartment, having a new place to live on the horizon is exciting! Nevertheless, it’s important to be as prepared as possible before you commit to a lease. Asking the right questions before you sign on the dotted line will protect you from potential hassles and headaches down the road. Here is a list of things to discuss with your potential landlord before you sign a lease. Most, if not all, of these should be documented in writing within the lease to protect you before you move into your new home. What payment is due, when is it due, and for how much? While it may seem obvious, it’s also important to know how your rent should be paid (mail, bank draft, cash, etc.) as well as what your late fees could be. It’s also important to clarify how long your monthly rent payment is guaranteed so you won’t be surprised by a rent hike down the road. Also, if you’re required to pay the first and last month’s rent in advance, you should make sure that your lease specifies that in writing. What security deposit is due, what does it cover, and when will it be returned to you? It’s important to document any existing damages before moving into the home. If a move-in checklist isn’t provided, be sure to create your own and go through the property, noting any damage ahead of moving in. Keep a copy for yourself and give a copy to your landlord. At the same time, it’s also wise to take pictures of the condition of walls, rugs, and other items for future reference. Who pays which fees? It’s important to establish upfront (and always in writing) who pays the associated fees for the property such as HOA dues or condo fees, parking, storage or facilities fees (such as a pool, gym etc.). Also be sure to cover the utilities—if you’re responsible for paying them, get a good estimate of how much they’ll cost to help you budget. Who is responsible for repairs? Your lease should outline who handles major repairs such as a heating and air conditioning malfunctions, but also who handles the smaller day-to-day minor emergencies such as clogged drains. Also be sure to find out if maintenance items such as yard work, gutter cleaning, trash removal, and carpet cleaning fall to you as the renter. What penalty is incurred if you need to break the lease before the term ends? Murphy’s law ensures that things happen, so it’s always good to know upfront what penalties you might face. At the same time, be sure to know under what (if any) circumstances the owner can make you vacate before the lease term ends, such as if they decide to sell the property. Also, be sure to ask if you’re allowed to have residents in the home other than those whose names are on the lease, especially if you think that could occur (for example, if a sick relative needs a place to stay or a child returns to live at home after college). Ask whether you’re required to carry renters insurance. While it’s always recommended that you have renters insurance to protect your belongings while residing in someone else’s property, it’s actually required by some landlords. Either way, you will want to be sure to set up your policy prior to moving in. What updates are you allowed to make to the home? Can you paint, plant flowers, or hang your own curtains? Every situation is different, and if you’re going to want to make changes, get permission upfront. It’s also useful to know what aspects of the projects you need additional approval for, such as paint colors. Knowing all this information ahead of time will help you be prepared throughout your rental period and avoid costly disputes upon vacating. 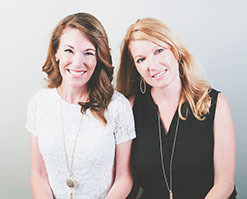 Christy Black and Amy Boyle co-author the DIY and home decor blog 11 Magnolia Lane. With frequent work-related moves between them, they are self-professed experts on moving, renting, and fixing up new homes. Christy Black and Amy Boyle co-author the DIY and home decor blog 11 Magnolia Lane. With frequent work-related moves between them, they are self-professed experts on moving, renting and fixing up new (and old!) homes.